May the MMA Gods answer our prayer! 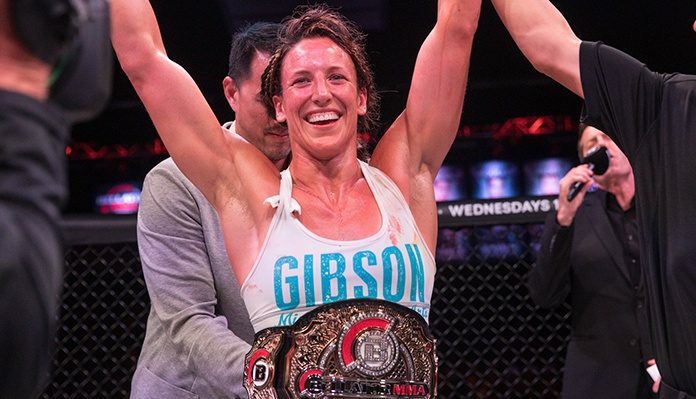 With Bellator featherweight champion Julia Budd’s continued success and solidification as the second best 145 to ever do it, the question that comes with such always becomes, ‘what’s next?’. Last Friday night in the main event of Bellator 202, Budd put on the most impressive performance of her already dominant career. She handed the undefeated BJJ specialist Talita Nogueira her first loss with a third round TKO. While actually having a division around her unlike the perennial No. 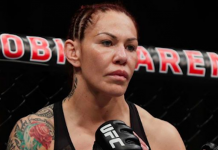 1 in the division worldwide, the UFC champion Cris ‘Cyborg’ Justino, the interest in a Budd vs Cyborg fight is at an all-time high. 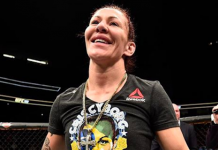 Having fought under the same MMA umbrellas before in the past yet never actually locking horns, the sentiment has always been that Budd wanted no part of Cyborg. As is usually what is said about 145-pound fighters that gain momentum but don’t end up fighting the Brazilian. After her recent title defense, Budd discussed the silliness in those thoughts when speaking with FanSided. “I seen stuff saying that I’m running from her and that’s why I signed with Bellator. Give me a break. What we live for as martial artists is challenging ourselves and I’ve faced all the best featherweights in the world, except for her, so that challenge is something our team [has talked about]. Prior to making her MMA debut, Budd went 10-2 in Muay Thai which included a win over Gina Carano. Budd would debut for Bellator in 2015 after amassing a 6-2 record fighting for Strikeforce and Invicta. “[I’ve] seen stuff saying that I’m running from her and that’s why I signed with Bellator. Give me a break. I didn’t run from you; I’m just not going to fight you on a week’s notice or as my first fight before I’d even gotten my feet wet in the sport when you’ve been killing people. If Budd is dumb for being logical with the handling of her career then that makes about as much sense as MMA math does. The Canadian has earned her position as one of the best 145ers on the planet and isn’t afraid to fight for the No. 1 spot one day. 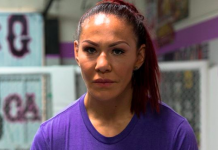 And with Cyborg not sounding too happy with the UFC lately…who knows, maybe it will come sooner rather than later. 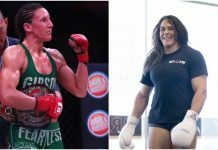 “Then, of course, word gets around that I said I’m not fighting Cris Cyborg and you know how it goes,” Budd continued, “They gave her my opponent and we were kind of pissed off about that and I had one more fight with them and then we got an amazing offer from Bellator.